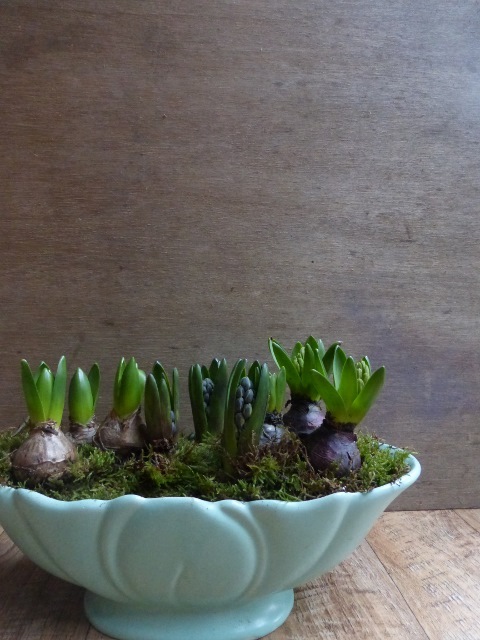 Now I’m no gardener, but I can work with potted hyacinths. For me the trick with working with any plants or cut flowers is to “do” something with them. A bunch of flowers bought with your weekly shop can just be chucked in a vase – but they’re always going to look like they’ve just been chucked in a vase. 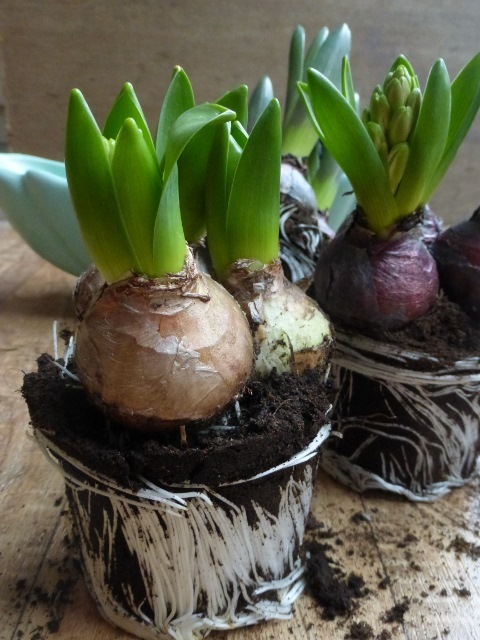 Don’t leave it in it’s wrapping – in the case of my hyacinths these were black plastic pots. I’d suggest putting them in a dressier pot, to give them a ceramic lift. For me, they look even better re-planted and given a surface dressing of moss. 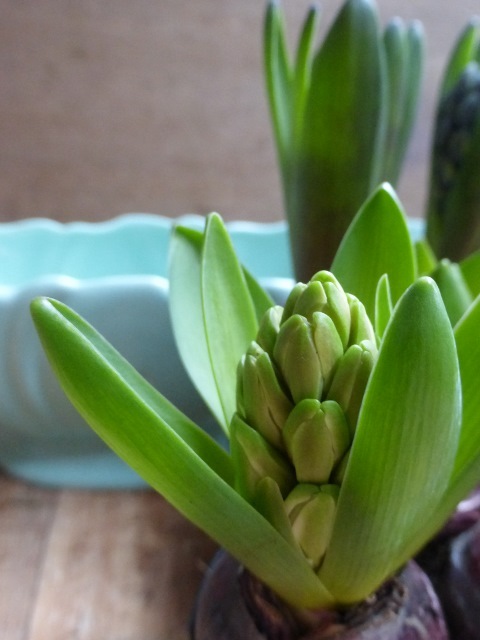 Personally, I prefer hyacinths in their early stages of development when the buds are just forming. 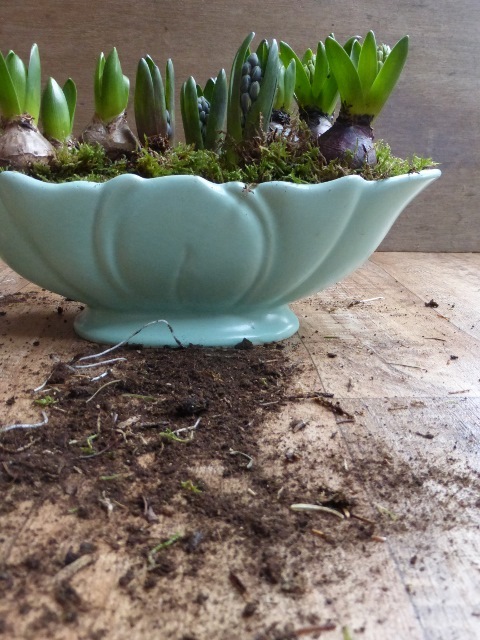 When grown inside they shoot off towards the light and then lollop off sideways – just as this is starting to happen I push in what a gardener would call a few “pea sticks” (twigs), to give the heavy heads a bit of support. Why not have a go and let me know how you get on.